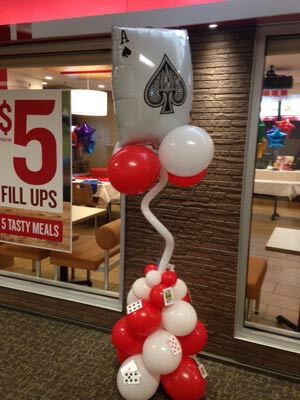 Customized balloon columns are great for themed events. This column featuring cards was used for a game themed event, but would be great for a casino or any card based theme. This column can also be delivered as it requires no stand! Many toppers to choose from! Click the button below to add the Gambling Cards Balloon Column to your wish list.